Idahoans for Local Education was founded in 2013 by Stephanie Zimmerman to fight for local control in education. Our Goal: Stop Common Core!!! Stephanie is the mother of eight, intelligent and beautiful children. After receiving her Bachelor of Arts in Music from Brigham Young University, Stephanie and her husband, Bill, relocated to the Boise area where they are residing and raising their family. She loves reading, gardening, cooking and spending time with her family. Lately she has been quoted in the Idaho Reporter and Education Week for her work against Common Core State Standards in Idaho. 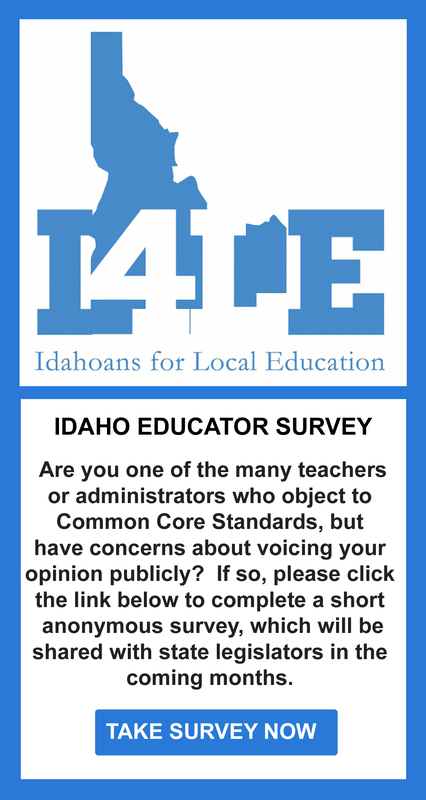 You can contact Stephanie with any questions at stephanie@idahoansforlocaleducation.com.